Now is your chance to own an autographed 12″ snare drum head with Lord Marco’s “Praise the Lord” image on it! 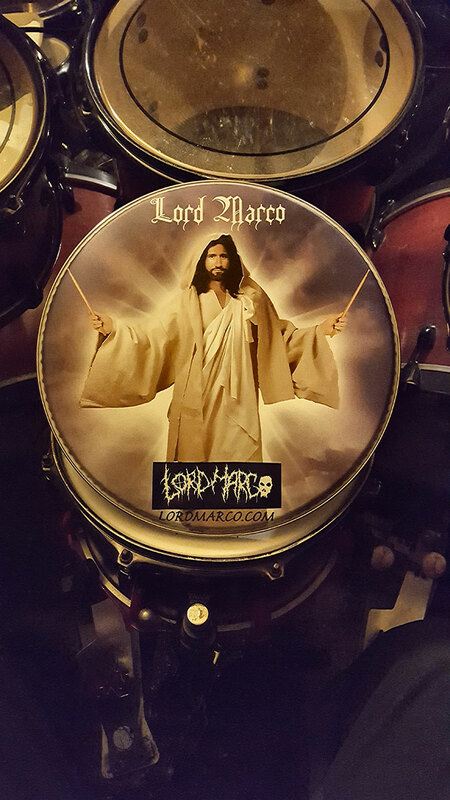 This is a fully functional 12″ snare (or tom) drum head. Either hang it up on your wall or use it. 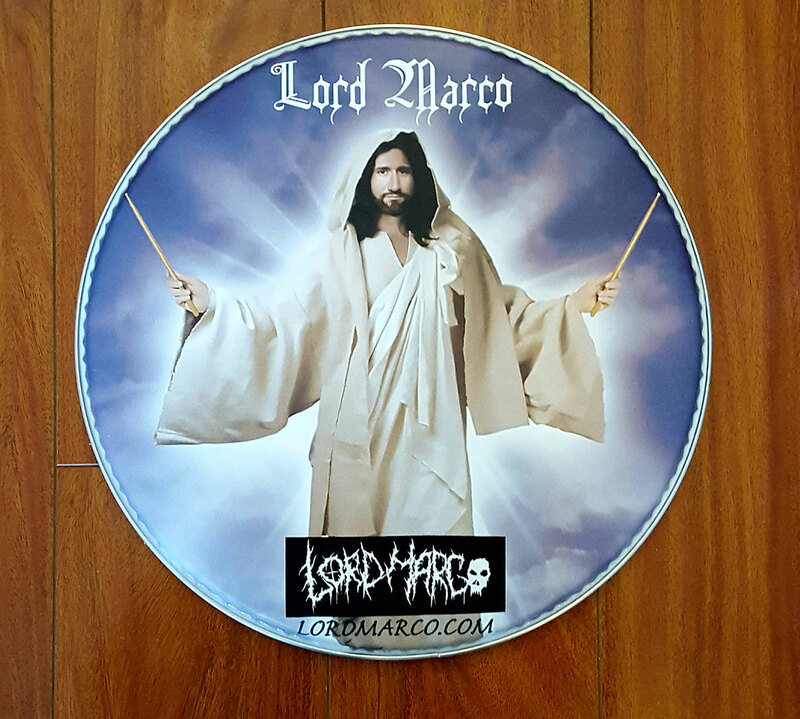 Marco will autograph each drum head with the option of having it personalized to you at no extra charge. Just leave your custom message in the Order Notes at checkout. 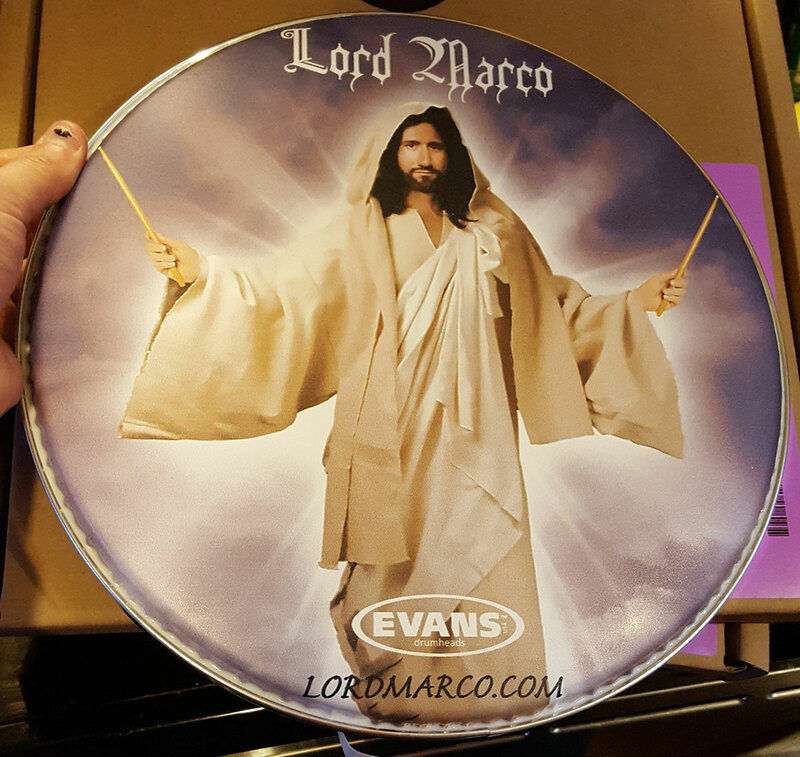 For the avid Lord Marco fan or just a supporter of extreme drumming…. you do not want to miss out on this!